Established in November 2012, Blue Assist supports employees experiencing significant financial hardship as a result of a natural disaster, family emergency or other unexpected events. Through company support and gifts from employees, the fund provides short-term assistance with basic living expenses helping to bridge the financial gap caused in critical times. This online portal is designed to be a fast and easy way to learn about the program. 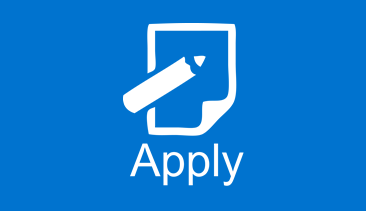 If you are facing a difficult situation this page can help you determine if you're eligible for program assistance and allows you to apply online by clicking the "Apply" icon below. To support the fund by making a donation, click the "Give" icon below. » Disasters including natural disasters, government declared emergencies or personal disasters such as a house fire. » Severe financial hardships resulting from a sudden event that an employee could not be expected to have prepared for adequately through financial planning and budgeting: such as a short-term illness, domestic violence situations requiring an immediate move or an unexpected loss of income. Grant amounts vary based on the nature of the event and related expenses. The maximum grant award is $2,500. Should several events occur in the same year, the annual maximum award amount is $5,000 per employee per 12 month period. These grants are not loans and do not have to be repaid. In most circumstances, approved funds are paid directly to the vendor(s) to whom the employee owes payment. After a disaster, grants may be provided to employees for basic expenses, such as temporary shelter, clothing, food, transportation expenses, and other necessities that are not immediately provided by emergency community services or insurance. Step 2 Click the Apply icon above to access the online application system. Step 3 The eligibility search will help determine which application best suits your circumstances. Step 4 Register and complete the online application. We encourage using personal email addresses if you are not able to access work accounts outside of business hours. Once your application is submitted, a grant specialist will contact you within two business days for an informal interview. Through the online application system, you will be able to see the status of your application through the review process in real-time. Once we have received your application and any supporting documentation, the process completes within 3 to 5 business days. 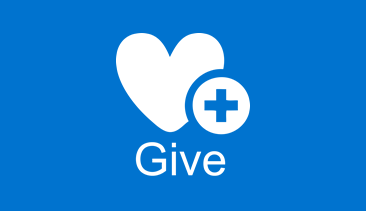 Blue Assist is a charitable program; it is not a benefit to Blue Cross employees. As such, certain charitable income guidelines apply. To be eligible, applicants must be active employees of Blue Cross and Blue Shield of North Carolina or on an approved leave including short-term disability, FMLA or paid time off. Assistance may only be provided toward expenses that are a result of the event and that were incurred after the applicant's hire date. Applications must be submitted within twelve months of the event's occurrence. For employees who do not meet these guidelines but are having financial difficulties, Blue Cross and Blue Shield of North Carolina offers an Employee Assistance Program (EAP) which is available for assistance. Consultation is available 24 hours a day, 365 days a year and is provided at no cost to employees. Call the toll-free phone number to connect to a wide range of professional services -- counseling, financial and legal advice, childcare referrals, eldercare services, and balancing work and life assistance. Call Achieve Solutions at 1.877.764.5643 or visit the EAP page on the Zone for more information. Employer sponsored tax-exempt disaster relief and emergency hardship programs must benefit an indefinite charitable class; therefore, the Employee Relief Fund cannot limit its assistance to specific employees, including victims of a particular disaster or from a specific geographic location. If you know of someone who is in need of assistance, please encourage them to contact 855.823.6589. » To make contributions by credit card online, please click on the Give icon above. Fund, ID#2245, on the memo line of your check. » For other contribution types, such as stock, please contact the E4E Relief Donor Services Team at 704.973.4564. Donations are tax-deductible to the extent allowed. Please check with your tax advisor for more information. What if I've been impacted by a disaster? Within the online application system a specially designed application has been created for employees affected by disasters. This application is shorter than the financial hardship application with an expedited turnaround time. The EAP is also available for assistance. Consultation is available 24 hours a day, 365 days a year and is provided at no cost to employees. Call Achieve Solutions at 1.877.764.5643 or visit the EAP page on the Zone for more information. Blue Assist is not a first responder; in the event of a disaster, employees should contact the American Red Cross or another local organization for on the ground immediate assistance. Blue Assist is administered by E4E Relief. As a non-Blue Cross and Blue Shield of North Carolina entity, E4E Relief has been designated to manage the grant processing and administrative aspects of the Blue Assist Program. Information provided is held in strict confidence. E4E Relief manages the grant processing and administrative aspects of Blue Assist on behalf of Blue Cross and Blue Shield of North Carolina. This ensures confidentiality and impartial decision-making. They also have expertise on this subject matter to make sound decisions on qualifying events. No. A third party, E4E Relief, administers the program and applications are confidential. It is up to you if you would like to share your story about assistance you received from the Blue Assist Fund. No. Disbursements from Blue Assist are non-taxable to the employee, and are provided as a gift and need not be repaid.